Whale watching has always been considered a viable -- and responsible -- ecotourism activity that helps both conservation and local economies. But as evidence is emerging that whale watching (especially if not done properly) may not always be so great for the whales, new technologies are stepping up to provide other options. 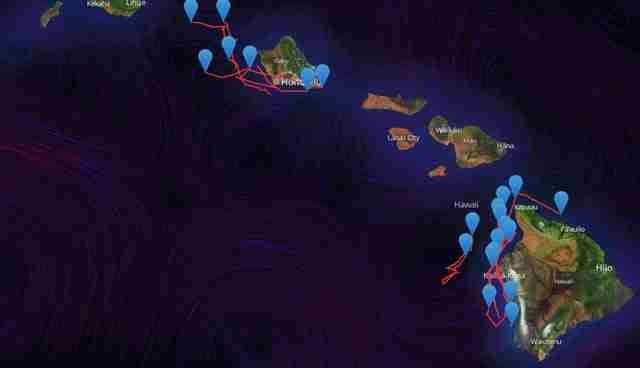 The latest of these is the Smartmine Whale Tracker, an online interactive map that allows users to track sperm, beaked, false killer and pygmy killer whales as they migrate around the Hawaiian Islands. The researchers who compiled the hypnotic map wanted to draw attention to lesser-known whales -- not just the charismatic humpbacks that people flock to Hawaii to see every year. 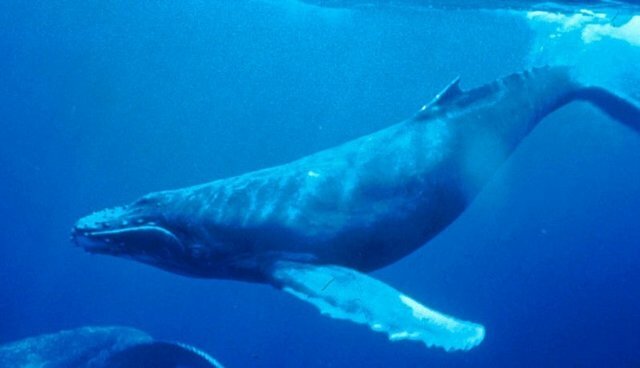 There are eighteen species of toothed whales and six baleen whale known to exist around Hawaii. The map was created using recent data collected by Dr. Robin Baird of Washington's Cascadia Research, who tags and studies the behaviors of Hawaiian whales. The map also displays ocean currents, and users can change between aerial, ocean and nautical map views. While you track whales from your computer, you should probably take a look at this incredible drone footage, for an idea of exactly who you're looking at. And this whale song might make a good soundtrack, too.